I have a 1947 model 18 which I am returning to the road after a 60 year lay up. There is a slight kink in the top tube just in front of the carb. Should it be there? Can you upload a photo? 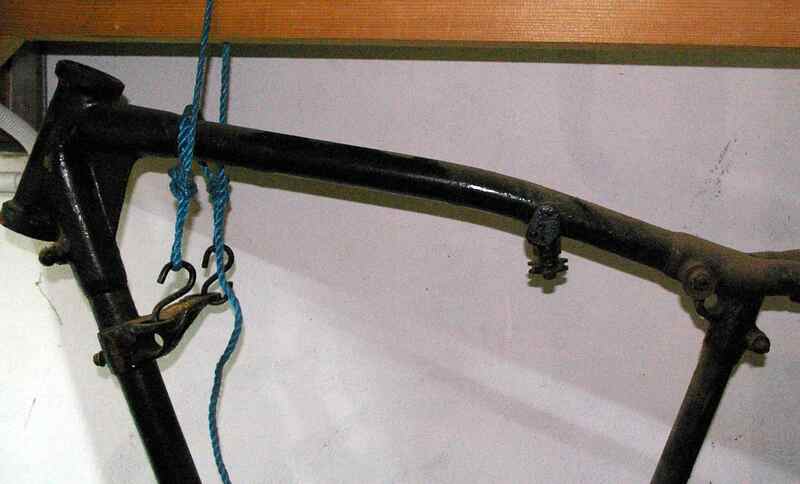 I have a kink free 1936 Model 18 but a picture would be useful..
A bend in the top tube is not unusual, see photo of a 1956 frame (50/ES2/19S). 1950 ES2 has a similar bend. Is similar although it's plunger suspension. 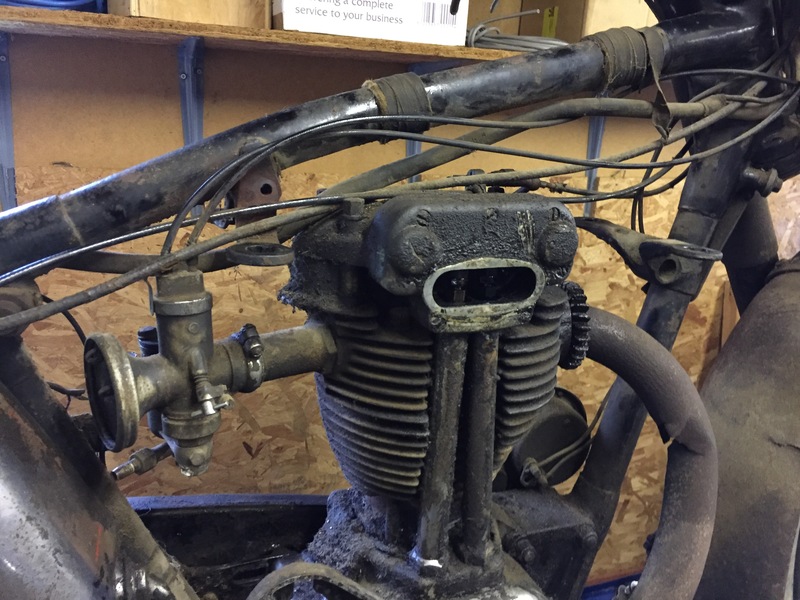 I suspect it's to clear the extra height of the OHV engine and allow for the rockerbox / head to be removed. Thanks for the alignment tip. That is something I have considered as this bike once had a sidecar according to the 59 tax disc. Don’t know what became of it though. Where did you get you frames sorted? A bit baffled. Why assume your frame needs 'sorting'? Everyone has said the top tube shape is correct. And it's hard to see how a crash would bend it up like that. Put wheels on and see if they are parallel or if there is a twist. I presume Roger Deadman (above link) has had a twist else where on the frame. Looks to me if the top tube should be like that.